Featured Image: Ashok Bhattacharya (centre) and Shankar Malakar of Congress (white kurta) celebrate their victory in Siliguri and Matigarai-Naxalbari Assembly segments, respectively. Kolkata, 19 May: HE is the one who by forging an informal tie-up with the Congress had turned the electoral tide against the Trinamool in two subsequent local body elections in Siliguri. The experiment was such a runway hit that popular media lost no time in naming it Asok Model, and eventually the state level leadership of the Left Front replicated the same for this Assembly polls by entering into a state-wide electoral understanding with the Congress. But notwithstanding the fact that CPI-M heavyweight Asok Bhattacharya has won from the Siliguri Assembly seat, the Asok Model has failed to leave a mark in this state Assembly polls. It is not only that the Left-Congress alliance has failed miserably in south Bengal, where the Trinamool Congress has been on a strong wicket since 2008. In north Bengal too, which has been traditionally the stronghold for the Left and the Congress, Asok Model has failed to yield the desired result. So much so that the out of the 76 seats that are there in the seven north Bengal districts along with Murshidabad, the Left has won only in 13 seats. The Left has been electorally wiped out in the districts of Alipurduar and Jalpaiguri districts. In contrast, Congress has been able to win as many as 29 seats, emerging as the strongest party in north Bengal-Musrshidabad region. Trinamool has come out close second by winning 28 seats, albeit the ruling party has failed to open an account in Malda. Moreover, BJP too seems to have made the most of the situation by winning two seats in north Bengal ~ Madarihat in Alipurduar and Baishabnagar in Malda. Thus the region has greatly contributed to the BJP overall state tally of three wins; the saffron party’s third win has come from Kharagpur Sadar in West Midnapore where its state president Dilip Ghosh has won. Overall, BJP’s vote share in the state stands at 10.2 per cent as compared to the 17 per cent votes that it had managed in 2014 Lok Sabha polls. BJP’s ally, the Gorkha Janmukti Morcha has retained the control over the Darjeeling Hills by retaining all the three Assembly seats there. Notably, Harka Bahadur Chhetri, who had rebelled out from Morcha, has lost at Kalimpong Assembly segment. The setback for the Left this election is very acute: its overall tally has come down to 33 seats (including one Independent that it had backed at English Bazar in Malda) from the 62 seats that it had managed during the Parivartan storm in 2011. Left’s vote share now stands reduced to 25.9 per cent. This apart, most of the senior leaders of the Left Front, including state secretary Surjya Kanta Mishra has lost the election. 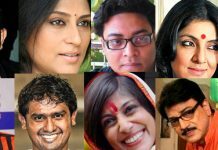 The notable exceptions, other than Ashok Bhattacharya is Siliguri, are Anisur Rehman at Domkal in Murshidabad, Biswanath Choudhury at Balurghat in South Dinajpur, and Sujan Chakraborty at Jadavpur in Kolkata. Congress, on the other hand, has improved its tally to 44 seats in the state from the 42 seats that it had won in the 2011 Assembly polls. Congress vote share this Assembly polls stands at 12.3 per cent. Thanks to the active support of Left cadres, several senior Congress leaders such as Manas Bhuniya, Abdul Mannan, Manoj Chakraborty, Shankar Malakar, Sukhbilas Burma and others have registered a victory despite the state-wide landslide victory for the Trinamool. 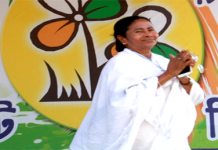 Contesting the polls alone, Trinamool has won 211 seats out of the 294 Assembly seats that are there in the state. 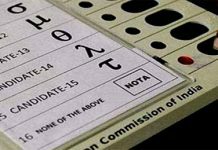 Its vote share now stands at 44.9 per cent, which is about 5 per cent jump than what the party had got in the 2014 Lok Sabha polls. Against this, the cumulative vote share of the Left-Congress alliance stands at 38.2 per cent. Notwithstanding the corruption charges brought forth by the Naradanews Sting Operation, Vivekananda Road Flyover collapse, and the links with real-estate syndicates, Trinamool has won all the 11 Assembly seats that are there in the Kolkata administrative district.